2017 has been an exciting time for Olivet College football, and the entire athletic department. Early in the year two new head coaching positions were filled in Olivet College athletics, one of which was the position of head coach for the football team. Coach Dan Musielewicz, or “Moose” as some players and coworkers refer to him, took the position in January. 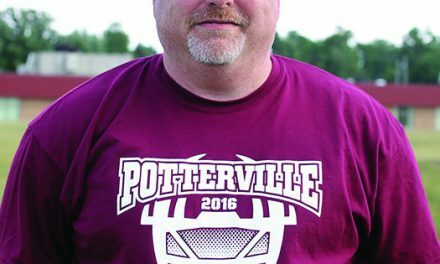 Dan was formerly an offensive coordinator for the Olivet boys, and he’s been with the team for several years. He is thankful that the head coaching position was the only personnel change for the football staff. But for him taking the head coaching position was not the greatest change in the football culture this year. 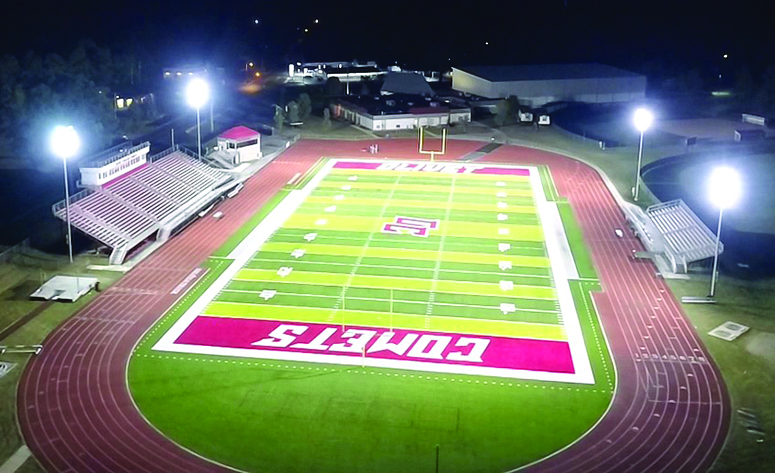 On Aug. 8 the finishing touches were put on the newly turfed Cutler football field. Dan was pleased with how long the turf lasted, which was about two more years than expected by his estimate. The field hadn’t had new turf in 12 years. The change was about safety, more than anything else. Beneath the rubber and the grass is stone, and after the top surfaces are worn out after so many years ground collision related injuries are a lot more likely. The project was finished after three weeks, and August 9 the players had their first run test on the new turf. Dan and the rest of the coaching staff are grateful to the college and the athletic department for the immaculate field. The new Olivet College logo is another tangible change for the Comets’ athletics. The turf at Cutler is now one of the largest and most present presentations of the new logo, but Dan indicated it will be integrated more and more through the next year. The marketing and athletic departments worked hard on creating a standout logo, according to the head coach. The turf and logo are just surface level changes to Dan, however. He is more excited about the culture changes happening with the football team and Olivet College athletics as a whole. While he recognizes the tangible changes as symbols of support for the players, the best support they have isn’t in new equipment and facilities. The best support is that of character, leadership, and life development. “It’s why we coach, to develop the man, develop the person, and immerse them in a belief system,” said Dan. The core belief system for Olivet College athletics is the one win philosophy, to take wins one at a time. One game at a time, one day at a time, one challenge at a time. The philosophy and value system that permeates every part of the athletic experience is meant to bring the players purpose, unity, and determination in the other areas of their lives. The coaches at Olivet care first about the academic experience, as well as equipping their players to be people of good character beyond college life. From staff, to facilities, to culture and philosophy, Dan and the rest of the athletic department aim to bring players and students a well-rounded and healthy experience. To learn more about Olivet College football and athletics, readers can visit olivetcomets.com., or follow the Olivet College Athletics Facebook page.